Oasis have recruited their eighteenth member! According to reports in UK newspaper The Mirror, Robbie Williams´ longtime drummer Chris Sharrock is to replace Zak Starkey in Oasis. Starkey - son of Beatle Ringo Starr - reportedly quit Oasis after arguments with Noel Gallagher as the band complete their seventh studio album. But according to a source quoted in The Mirror, Oasis have wasted little time in finding a replacement. The source is quoted as saying: "As everyone knows Oasis and Robbie are far from friends, and this move is sure to infuriate Robbie. Chris is just desperate to play and at least now he will get some action with Oasis." Williams is currently taking a break from recording and performing, though Sharrock has been drumming for the singer for 11 years. Sharrock began his career as a member of Liverpool groups The Icicle Works and Noel Gallagher-favourites, The La´s, as well as playing with World Party and The Lightning Seeds. Ironically, Starkey replaced Sharrock in The Icicle Works 20 years ago. Now, the opposite move with Oasis appears to be on the cards. The move will hardly endear Gallagher and Williams further. The Oasis brothers have been feuding with Williams since 2000 when Noel Gallagher labelled Williams "the fat dancer from Take That", with Williams responding that Gallagher senior was a "mean-spirited dwarf". Never mind all that childish playground banter, here´s Sharrock playing on The La´s´ There She Goes. 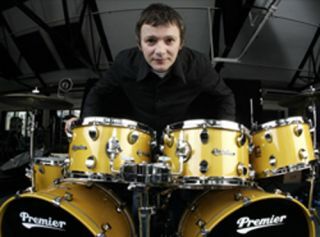 He´s a fine drummer who would fit Oasis´s style perfectly. Oasis´s new album is due in September 2008 and will still feature the work of Starkey, but if Sharrock is confirmed as joining he will be, astonishingly, the eighteenth musician to play with Oasis. Demos from the next Oasis album have recently surfaced on YouTube.